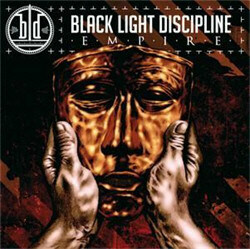 Black Light Discipline is a Finnish band founded in 2005 on the idea to make captivating, synth-based grooves with a mix of metal and electro genres. This fresh mixture makes BLD one of the most interesting groups playing electro-metal and the sound could well be described as raw, fleshy but still atmospheric. Their music's style is often categosided as electro-metal or industrial-rock.